Children in Uganda love to dance and sing, and we are passionate about encouraging children in their talents and giftings. Our children are extremely talented and love to perform and to learn new skills in the areas of music and dance. Each KCK centre has a Music and Dance group which practices every week and we have some fantastic KCK volunteers working specifically with this programme that we would like to say a huge thank you to. 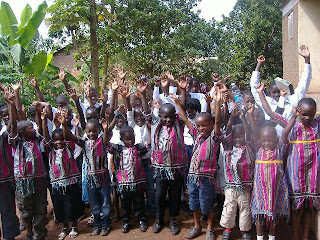 Children are being taught singing, traditional Ugandan dancing, modern dancing, drama, drumming and other musical instruments. We also have a children’s choir made up of children from all different centres. Our Music and Dance projects are not only a great way for the children to develop skills, be encouraged in their talents and to express themselves creatively, but also provide the children with a safe environment where they can keep out of trouble and enjoy themselves. We have also seen huge increases in the children's confidence and self-esteem through this project. 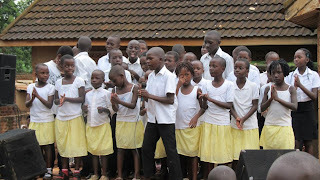 Children also use their talents in music, dance and drama to talk about and advocate for their rights and to raise awareness about important issues that they face as they perform. 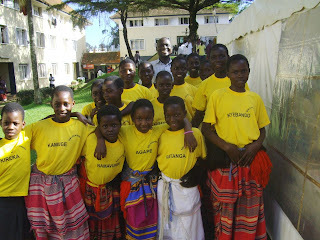 Last week, we held our first music gala at our offices, where the children performed many songs and dances for guests. We are planning on holding these events every month, as the children love to perform and we hope to raise vital funds to support the children through these events. Thank you to all our fantastic music and dance volunteers, and thank you to everyone who has donated music costumes and instruments. 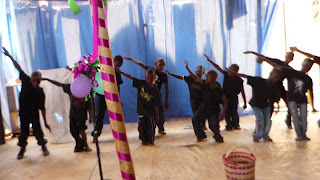 Please contact us - email info@kidsclubkampala.org if you would like to support this project, or if you would like our children to come and perform at a function you are having!